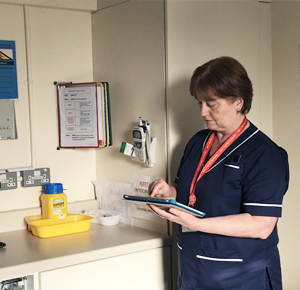 Therefore, in order to ensure it is safe for patients, staff, visitors and other service users, audits of the patient environment are essential to providing safe effective care. Medical Audits Estates and Facilities audit software provide real-time, dependable, accurate audit data for NHS, Private and HSE Hospitals. This audit software then gives your healthcare organisation visibility on the risks and elements that need your attention and provides evidence of the high quality care and services you provide. 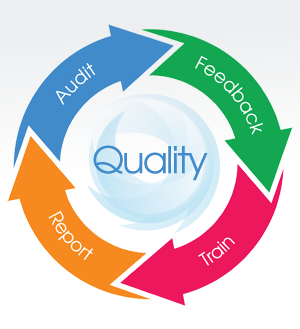 Whether your organisation is a private hospital group, an NHS foundation trust or NHS community care team, a HSE hospital or you work with intellectual disabilities the need for audit to evidence compliance with Key Performance Indicators is an essential part of your quality programme. The facilities audit software is suitable for all healthcare facilities. The audit tool is designed to assess the general ‘state of repair’ of the organisation’s buildings, departments, rooms etc. and to check if fixtures, fittings, furniture and equipment in these rooms is fit for purpose and in good state of repair. You can audit the whole healthcare facility for maintenance and repair issues and then forward these for action. ✔High Impact Interventions (NHS Improvement & IPS, 2017). ✔Health Information and Quality Authority (HIQA) National Standards for the prevention and control of healthcare-associated infections in acute healthcare services (2017). ✔Guidance for Application of Standards and Recommended Practices in Primary Care Local Decontamination Units (HSE, Ireland 2016). ✔National Standards for Residential Care Settings for Older People in Ireland (HIQA, 2016). ✔Standard Infection Control Precautions (SIPCs) (Health Protection Scotland 2016). ✔EPIC 3 Guidelines on prevention of HCAI in England (2012). ✔Management and disposal of healthcare waste (HTM 07-01) - England 2013. At Medical Audits, our highly advanced, scalable and flexible audit and Quality Assurance platform gives healthcare providers the software they need for auditing. We work in partnership with healthcare providers such as hospitals, care homes, Disability services and contract companies, continuously designing and developing bespoke audit software to meet their auditing and commissioning needs.